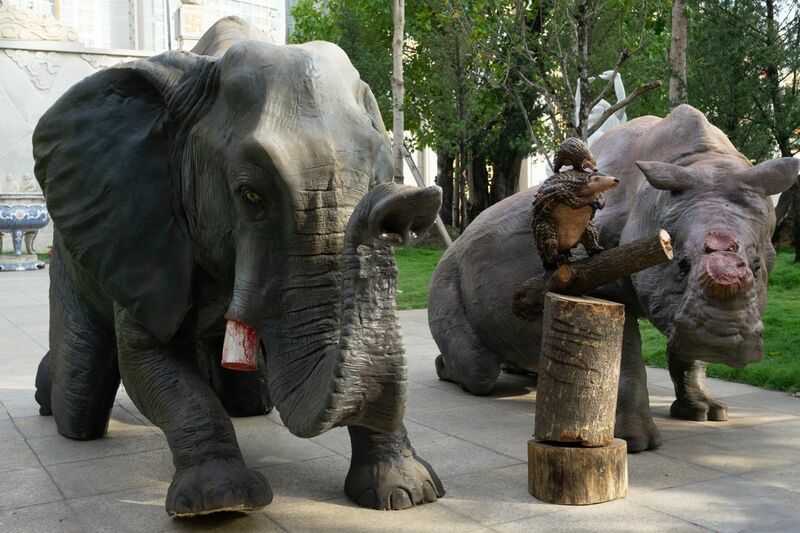 CAN GORY ANIMAL STATUES SHOCK VIETNAM INTO SHUNNING WILDLIFE PRODUCTS? 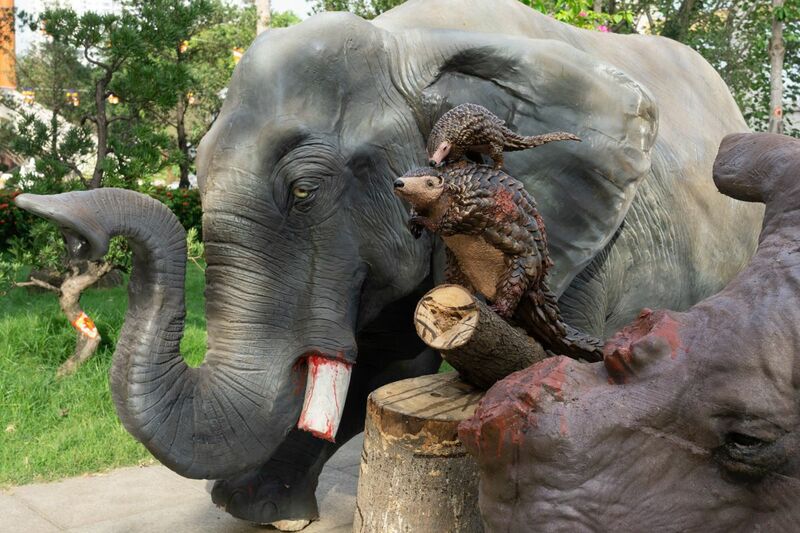 On January 28, three statues — including one of a rhino bleeding with its horn cut off, an elephant whose tusks are broken and two de-scaled pangolins — went on display at Vinh Nghiem Pagoda in Saigon. The installations are part of the "Be Their Bodhisattva" campaign initiated by the environmental organization WildAct and the Center of Hands-on Actions and Networking for Growth and Environment (CHANGE), Zingreports. 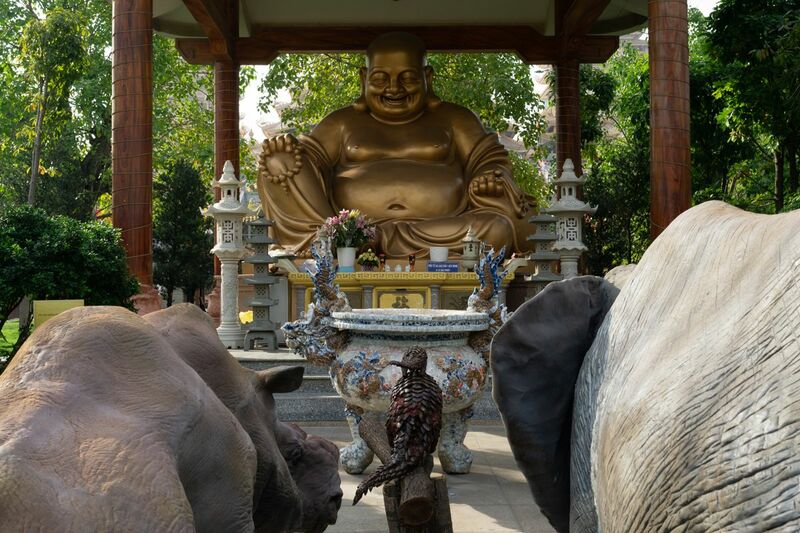 The three statues were seen kneeling in front of Buddha, accompanied by a sign providing information about the endangered statuses of these animals. "Every year, over 1,000 rhinos, 33,000 elephants, and 100,000 pangolins are poached for their horns, tusks, scales, and meat due to unfounded rumors. Such practices have pushed these invaluable species to the brink of extinction. Say no to wildlife products! When the buying stops, the killing can too," the sign reads. The statues, crafted by artist Phan Vu Linh, have received a lot of attention both from pagoda-goers and internet users for their graphic depictions and emotional impact. According to Nguyen Tran Tung, Communication Director of CHANGE, a sizable percentage of wildlife product consumers, traders and sellers are either Buddhists or frequent visitors to pagodas and temples. Portraying these animals kneeling in front of Buddha is analogous to portraying them praying for Buddha's protection. This integration with religion could hopefully make people involved in the illegal wildlife trade think twice about their practices. The three statues were moved to Minh Dang Quang Temple in District 2 on January 30 and will stay there until February 11 before being transported to Khanh An Monastery in District 12, where the installation will run from February 12 until February 18. They will also be on display at Tay Thien Pagoda in Vinh Phuc Province on February 22-24, and then transferred to Khanh An Monastery from February 28 to March 3. Finally, they will return to Vinh Nghiem Pagoda and stay there on March 4-10, the last day of the campaign.